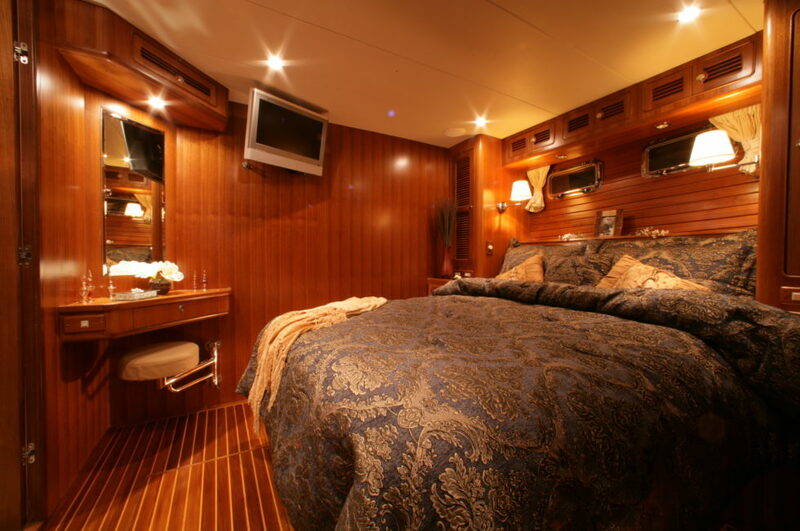 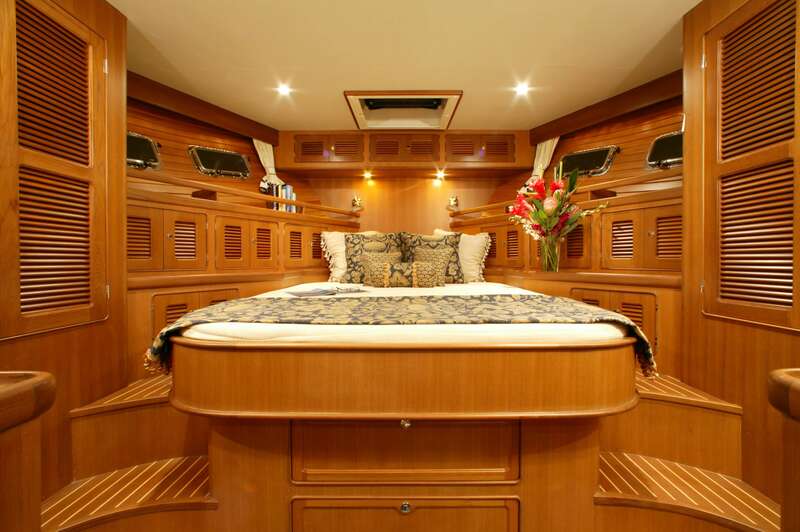 The Selene 45 is an entirely Next Generation Selene. 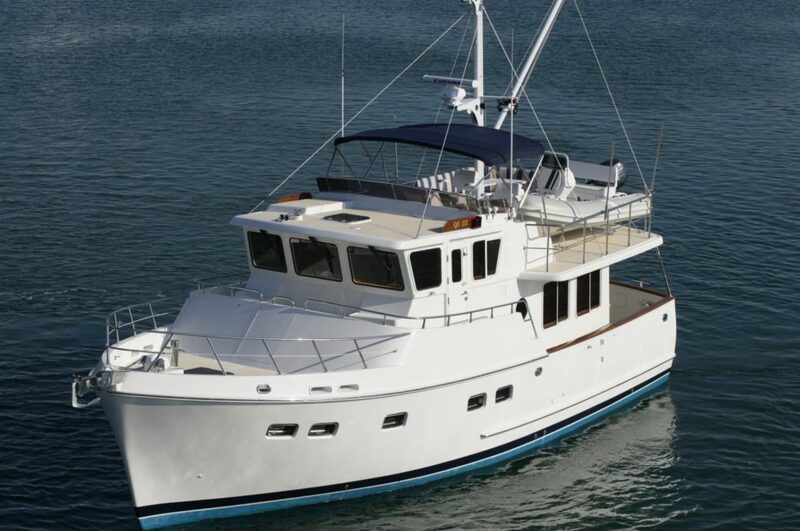 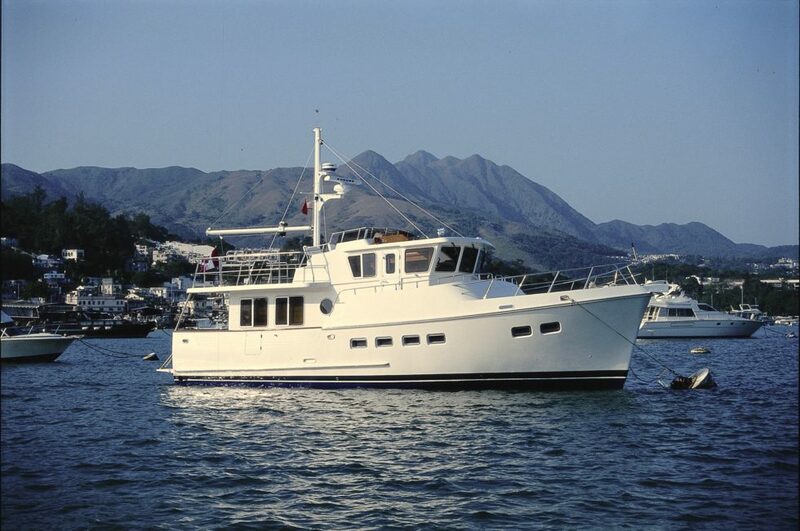 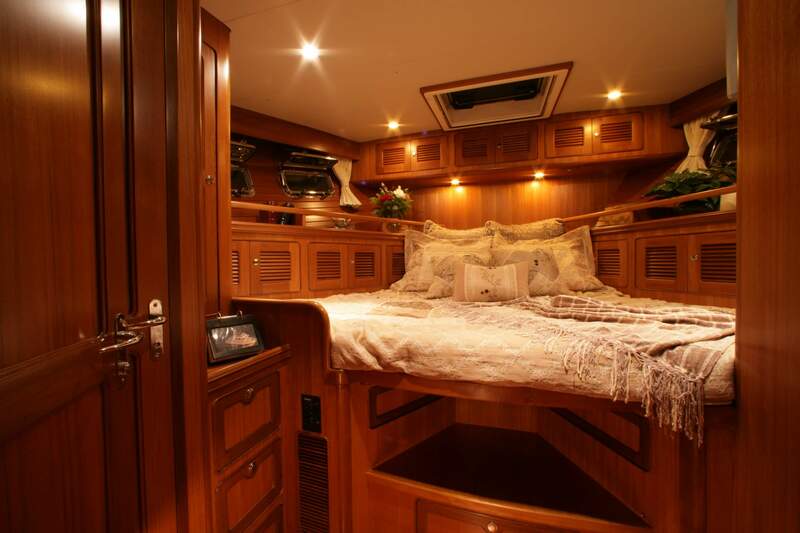 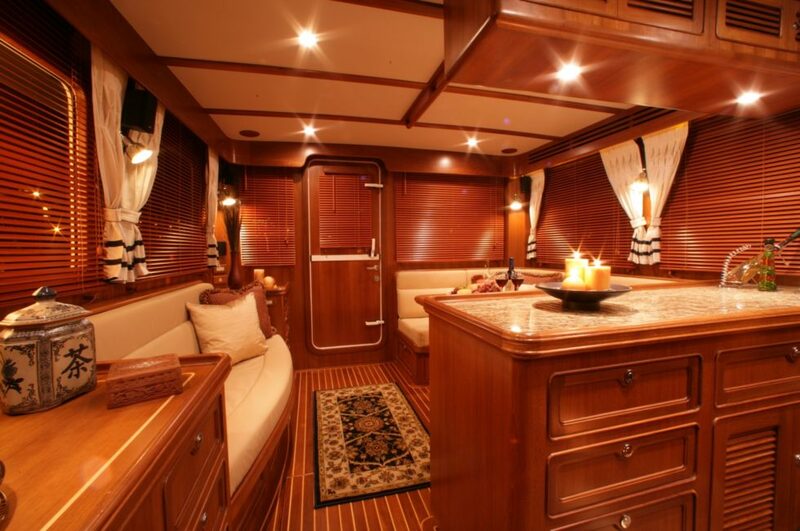 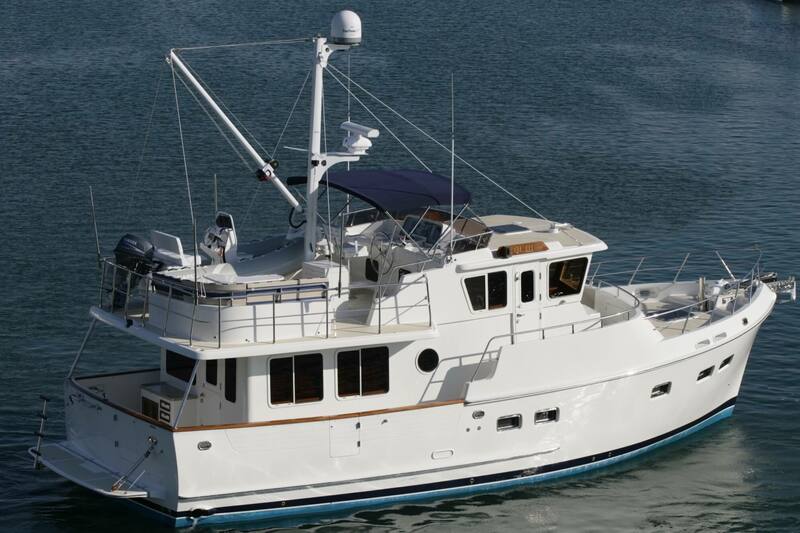 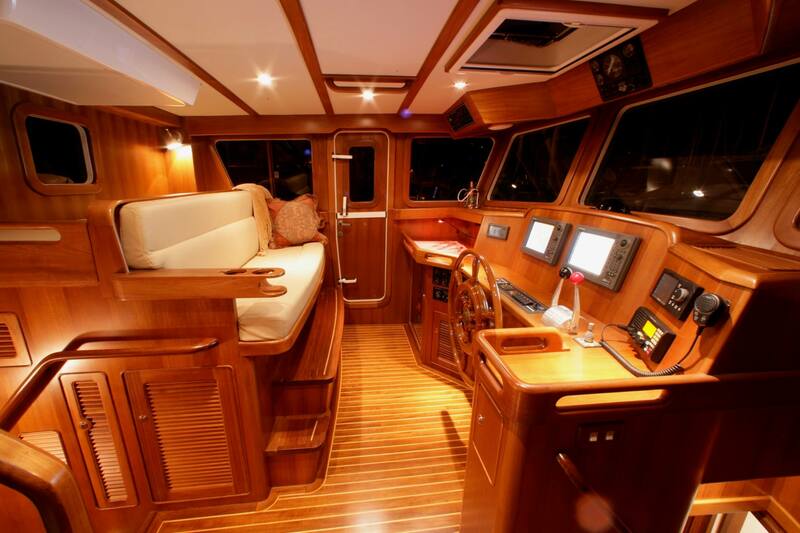 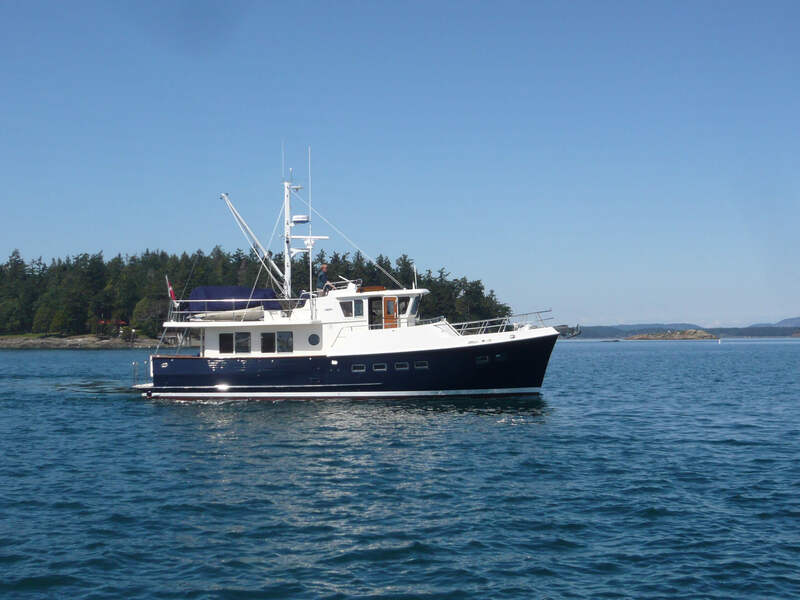 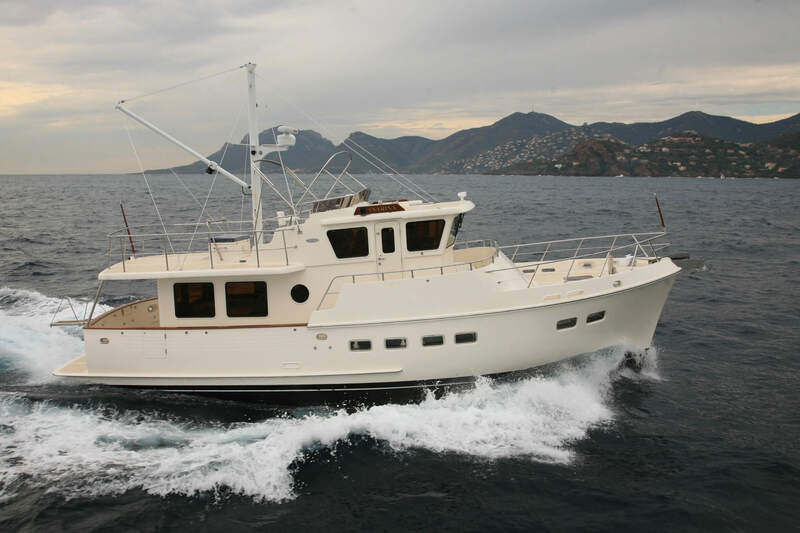 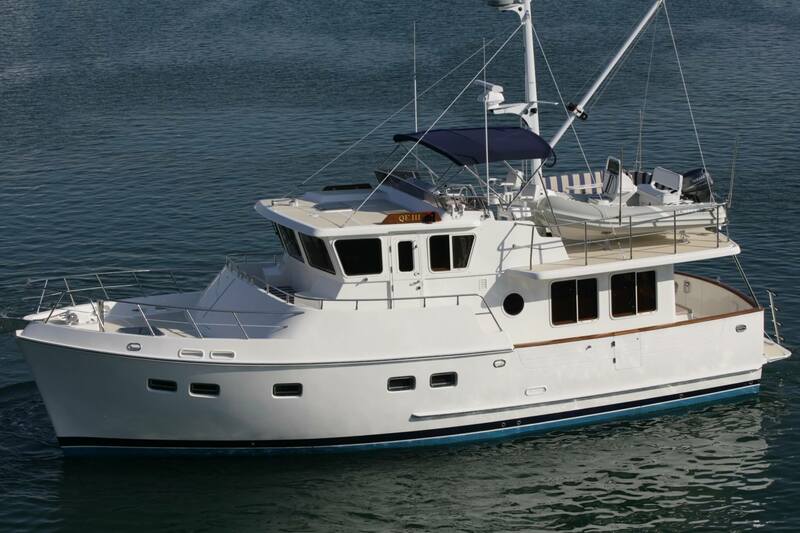 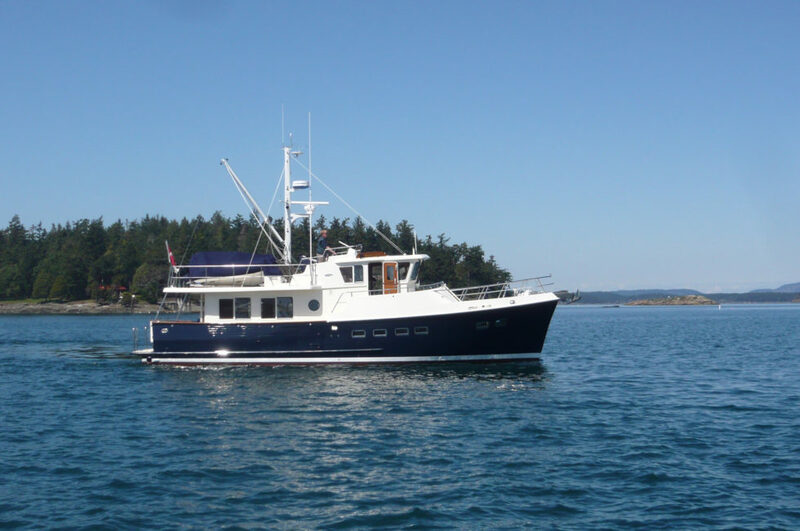 She is the smallest model of the popular and proven Selene Pilothouse Trawler line. 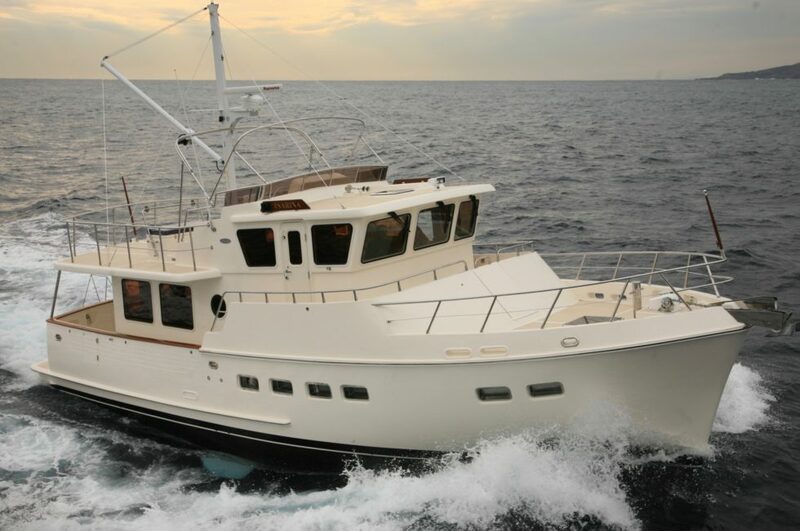 Designed and built like her larger sisters, she is a serious passage-maker, and a superlative coastwise and inland cruiser. 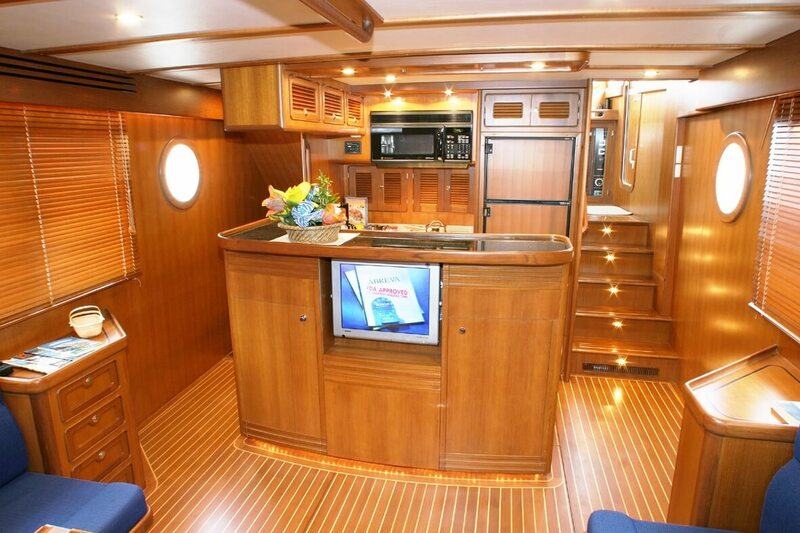 The galley on the new Selene 45 can be offset to starboard providing a spacious salon with an L-shaped sofa in genuine leather and a hi-lo table that can be extended to a large dining table, or the center galley is still an option. 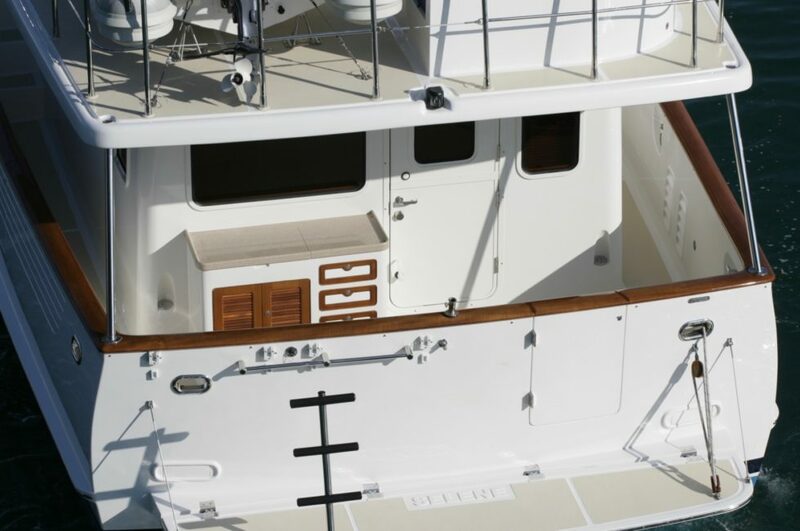 The raised pilothouse watch settee offers a commanding view for the crew with a fixed table and an optional helm chair can be installed! 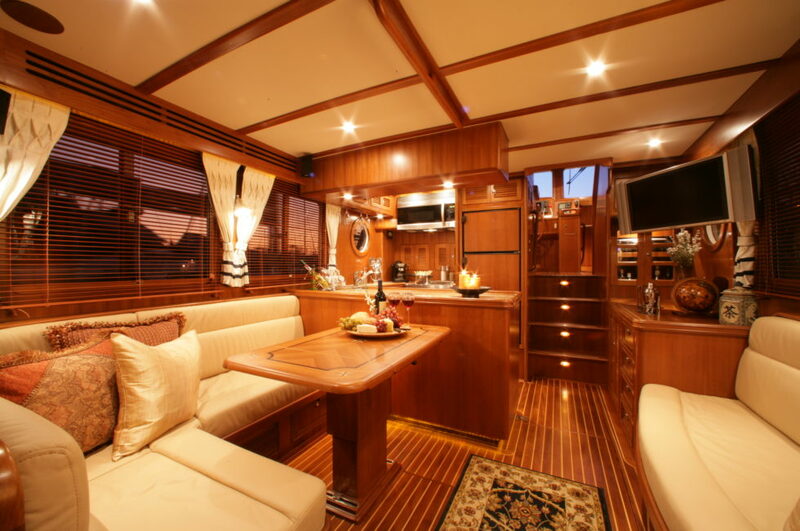 The Selene 45 is an evolved version of the original Selene 43. The design features the new Deep Hull design with its Cruiser Stern™ that provides a longer water line and less wake drag, as well as more storage space inside the lazarette. 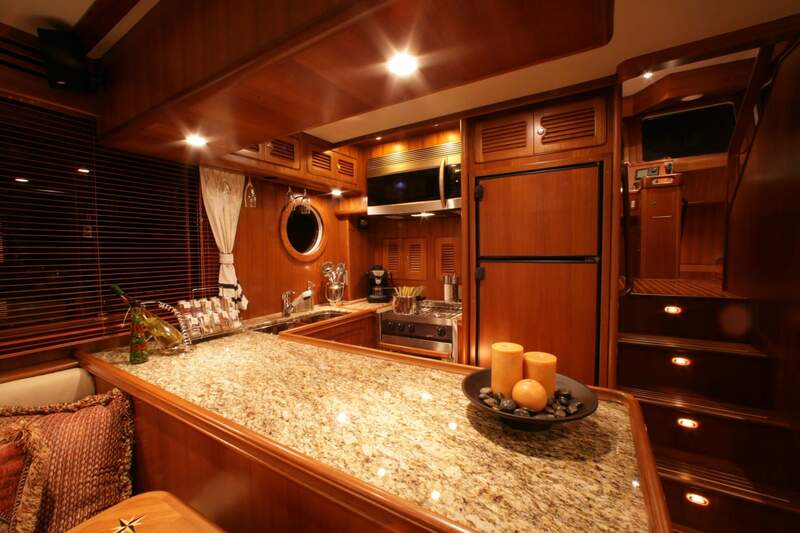 It also adds nearly 12″ of height in the engine room to 66’’, which allows for 200 more gallons (757 l) of fuel! 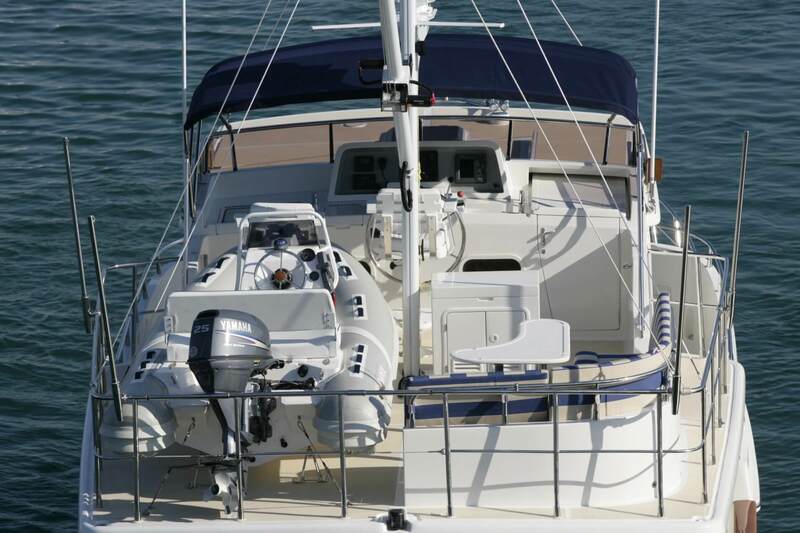 All this is done without increasing the draft, and the LOA is half a foot longer than the first generation Selene 43. 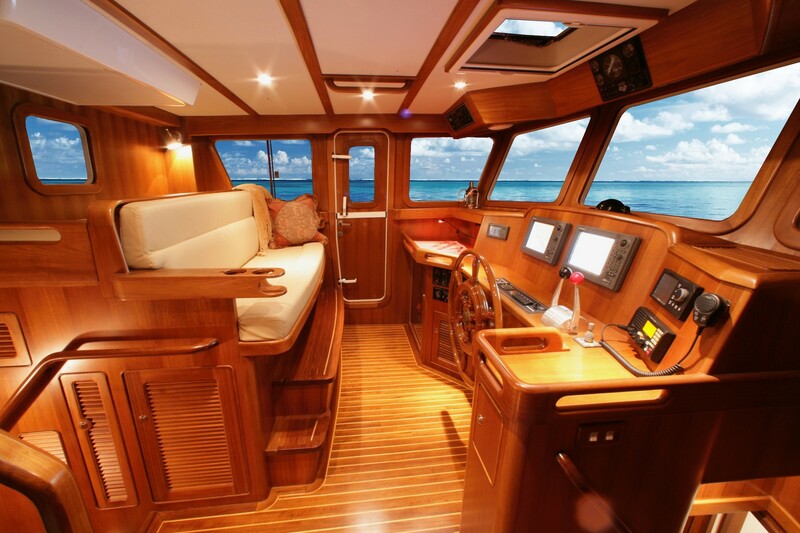 Safety is always a priority on all Selene yachts: access to the deck is from the pilothouse port and starboard doors, with sheltered side decks, as well as a Portuguese bridge which keeps the crew safe no matter what the ocean conditions are. On the interior, the next generation design translates to a bigger salon and more comfort and luxury, not to mention a cavernous commissary under the aft end of the salon which can take a huge amount of provisioning, spare parts, dive gear and even a second deep-freezer.